We can’t wait to welcome you to our office for your complimentary new patient exam. Dr. Mattioli will conduct a thorough clinical orthodontic examination and explain all aspects of treatment himself. A diagnostic scan of your teeth will be taken. What does my treatment include? Orthodontic records, which consists of x-rays, diagnostic scan, and a personalized growth study workup to determine your treatment objectives. What doesn’t my treatment include? It is our goal to see you, on time, for your appointment. Time is scheduled to complete the necessary procedure, give information about the treatment and answer any questions you may have. In order for us to maintain a schedule that runs in a timely manner, we request that patients arrive on time to avoid delays. 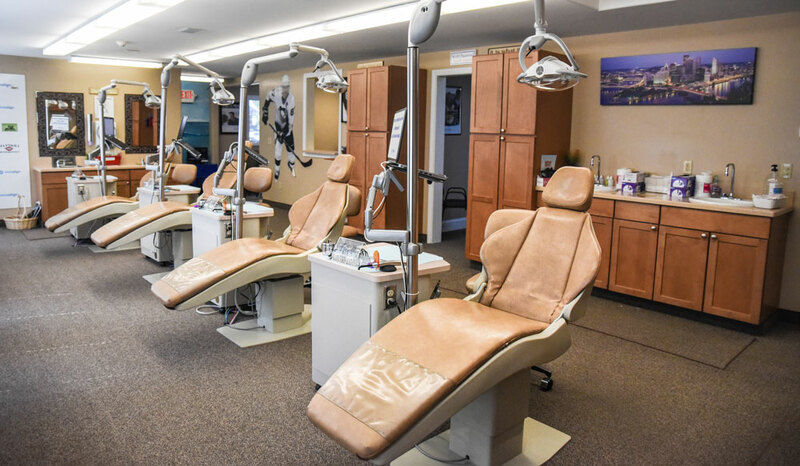 Your cooperation and consideration with appointments is greatly appreciated by our office and the patients that are seen after your appointment.